We bring you insights from leading figures in Palliative Care. The first of these is from none other than Dr. M R Rajagopal, Founder Chairman of Pallium India, a palliative care non-governmental organisation based in Kerala, India. The World Health Organization (WHO) had defined palliative care in 1986. At that time WHO said that “palliative care is the active total care of the person whose disease is no longer responsive to curative treatment. Control of pain and other symptoms as well as social emotional and spiritual support is paramount”. This definition was crisp and meaningful. The phrase ‘active total care’ conveyed a lot. Active implied that the disease process and the physical problems are actively treated to the end. Total care meant that in addition to the physical problems and the disease, psychological, social and spiritual issues were also attended to and that the whole person received care. 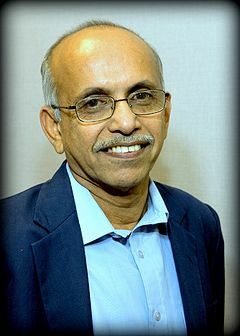 Dr. Rajagopal is the 2014 Recipient of the Alison Des Forges Award for Extraordinary Activism. He is a leading palliative care physician and has for 2 decades or more, meticulously striven to eradicate conditions that cause patients to suffer severe pain unnecessarily.